Earlier this year, Italian house Acqua di Portofino launched Borgo, a new fragrance for women. Borgo is the Italian word for village, and the scent was inspired by Portofino. Borgo was developed by perfumer Maurizio Cerizza; notes for the citrus floral include lemon, bergamot, sour cherry, jasmine, pittosporum, ylang ylang, patchouli, cedar, vanilla, amber and musk. 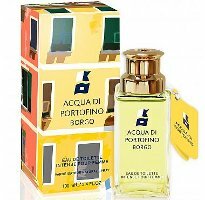 Acqua di Portofino Borgo is available at Essenza Nobile in Germany, in 50 and 100 ml Eau de Parfum. The Italian perfumers are busy as bees this time of year! True! But I think this came out much earlier in the year, maybe even spring or summer.